Ten years ago, the emphasis on the production of gin was still on the juniper berry as an ingredient. Gin was then distilled in one turn with all herbs. Today, gin gets a more aromatic, floral taste and citrus flavor as in the Edelweiss Gin. 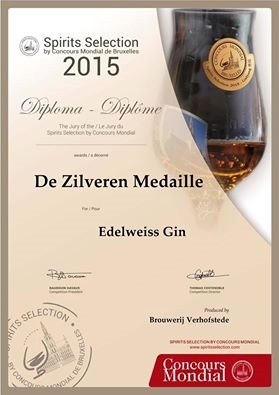 Gin Edelweiss has an alcohol content of 40 degrees, which is normal for a gin. It tastes very fresh and aromatic as an aperitif. 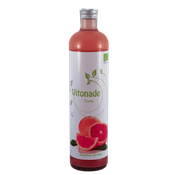 For the perfect Gin-Tonic, choose our crafty Vitonade tonic. 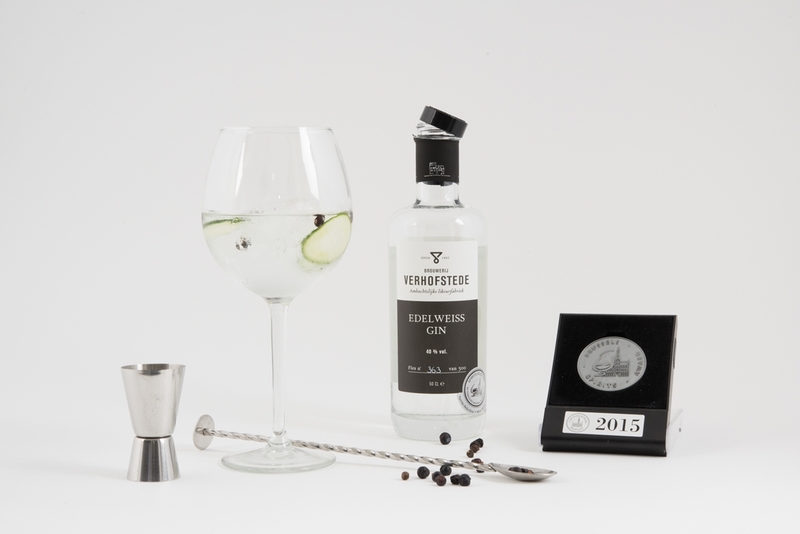 Based on old family recipes, Brouwerij Verhofstede makes herbs, aperitifs, fruit liqueurs, jenevers and gin! The brewery tradition continues in the fourth family generation. With love for the subject, the best herbs and the purest grain alcohol, the brewer cares for the quality of the unique drinks. 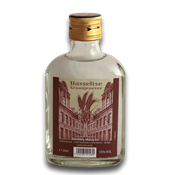 What makes this Waaslandse Edelweiss Gin so unique? The typical London Dry Gin emphasises strongly on juniper berries. Although, of course, juniper berries were used for this, the emphasis is more on citrus and floral flavors with a touch of some herbs. In the aroma we find floral, fruity, woody but also spicy notes. What is very clear is the sweet finish of this fruity gin. The ingredients include juniper berries, citrus syrup (lemon, orange juice), roses, coriander, cucumber, rosemary, anise and other exotic fruits. 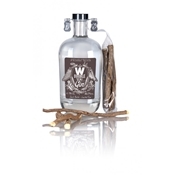 By masking the juniper berries, this Flemish gin is very accessible and lends itself to a wonderful gintonic. The name "Edelweiss" refers to the use of the groundwater of the Verhofstede Brewery. The brewery and former lemonade factory thanks its historical location to the availability of its own artificial well and excellent water.